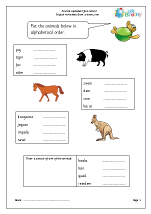 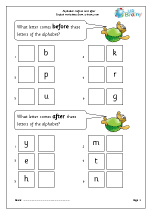 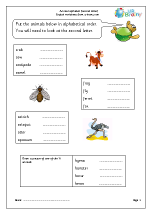 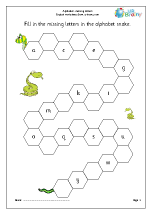 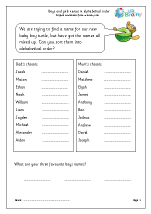 Our alphabetical order worksheets are certainly attracting a lot of attention so we thought we would bring forward the next batch, which we are really pleased with. 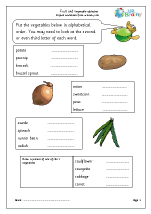 Starting with sorting fruit and vegetables into alphabetical order, before moving on to popular boys’ and girls’ names, we complete the series with some great geographical pages. 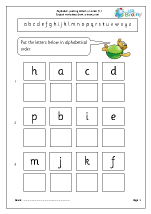 Cities and counties will prove tricky but the countries of the world are probably the hardest, ranging from Algeria to New Zealand each set of eight countries all begin with the same letter of the alphabet and to finish we have a little national flag spotting. 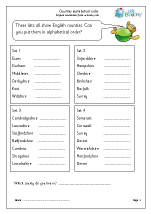 Some children love nothing more than studying countries of the world and can be encouraged to find out more about those selected, which continent they are in, what their capital city is, longest river etc.